Every year for the Fourth of July, my family goes to a resort in the Catskills called Pine Lake Manor. Pine Lake is a very special tradition in my family. The first time we went, I was four years old. We’ve been going for over 25 years now and have made lifelong friends in the other families that vacation there. 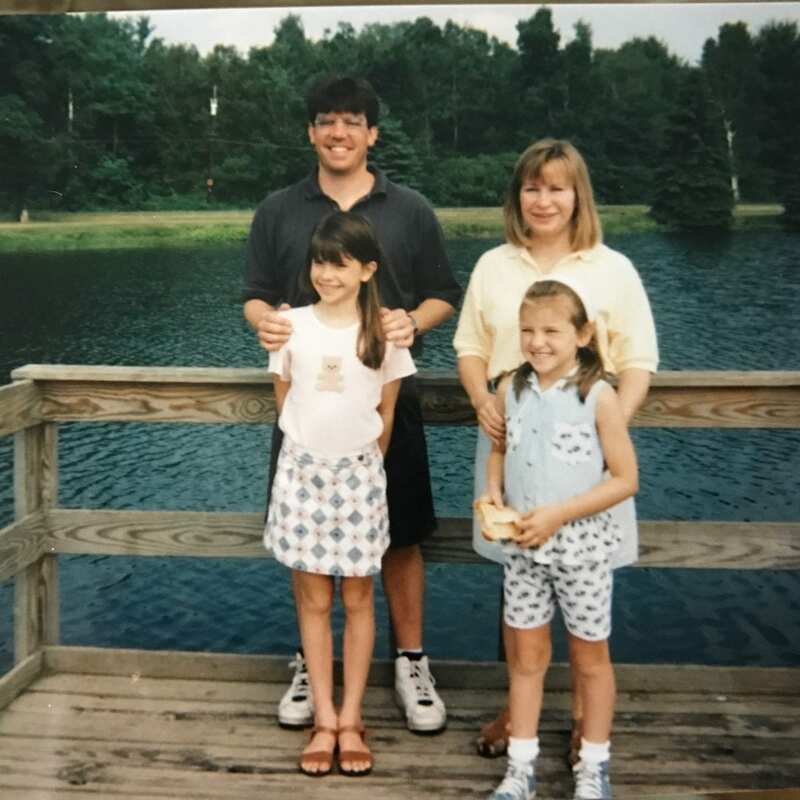 Me and my family at Pine Lake Manor in 1996. Pine Lake is set on a beautiful plot of land with lakes for fishing and row boating. There’s something for everyone: a pool, tennis courts, playgrounds, shuffleboard, and a putting green. The resort schedules activities such as a shuffleboard tournament (usually everyone participates in this one and there is always some playful smack talk! ), bingo, dance nights, karaoke and more. Pine Lake is the definition of old school family fun! But as much fun as we have with the activities, what makes Pine Lake so special is the people we are there with. After all the years of vacationing with these same families, they have become like a second family to me. We grew up together and there is something so unique about the bond we all have. A photo of me and my friends at Pine Lake when we were kids, and recreated 20 years later. As kids, we would get excited the whole year leading up to our trip. Basically, we would start the countdown to the next year’s trip on the car ride home! Pine Lake holds a very special place in our hearts and I will always cherish the quality time spent together as a family and memories created that we will all never forget. Want more Rockettes? Click here to see us at Radio City Music Hall this holiday season in the Christmas Spectacular!